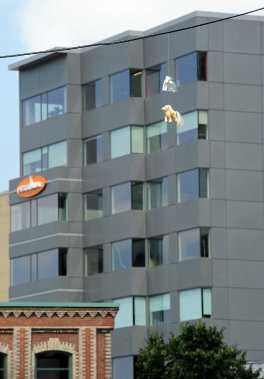 I read a very funny article today concerning a woman dressed in black who has been hanging My Little Pony toys around Quebec City. I LOLLED and then thought that it was the most clever thing I'd ever heard of. Let's just say if this starts happening around the valley you can totally blame me. 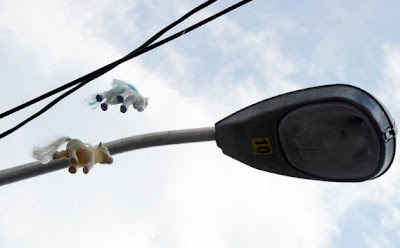 Nothing spreads joy like seeing My Little Pony hang from the telephone line in front of your office window. I imagine my soul would be filled with glittery feelings every time I looked out at such a sight.